It's the most wonderful time of the year, True Believers: it's DCD Magazine publication day. 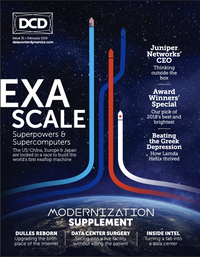 That's right, you lucky lot, we have a whole magazine jam-packed with data center news, features and opinions, and it's yours, for free. For the cover feature, we took a deep dive into the global race to build the world's first exascale machine. 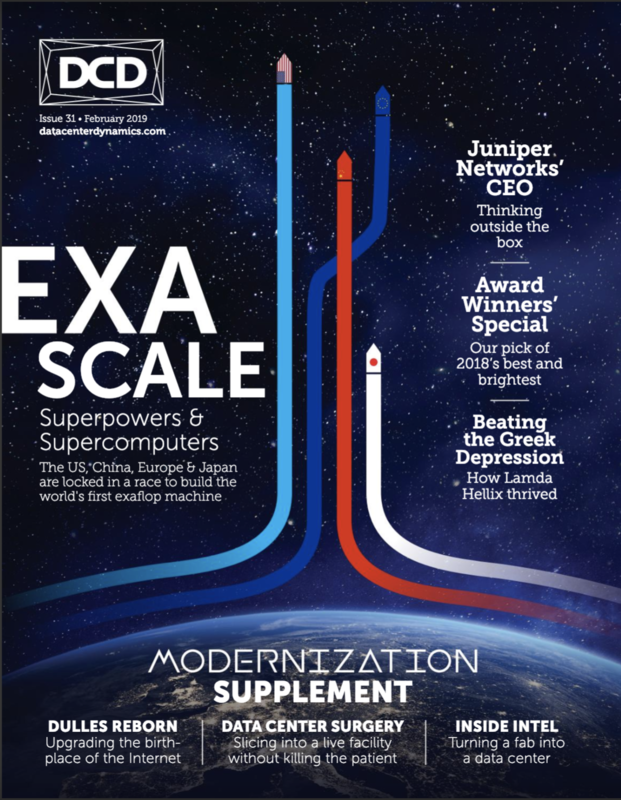 This massive competition for massive machines requires an appropriately massive cover feature - we hear from the heads of the EU's exascale initiatives, the leaders of the DOE's Exascale Computing Project, the chief scientist behind China's HPC program, as well as HPC and exascale experts from IBM, HPE, Cray, Nvidia, Arm, and more. 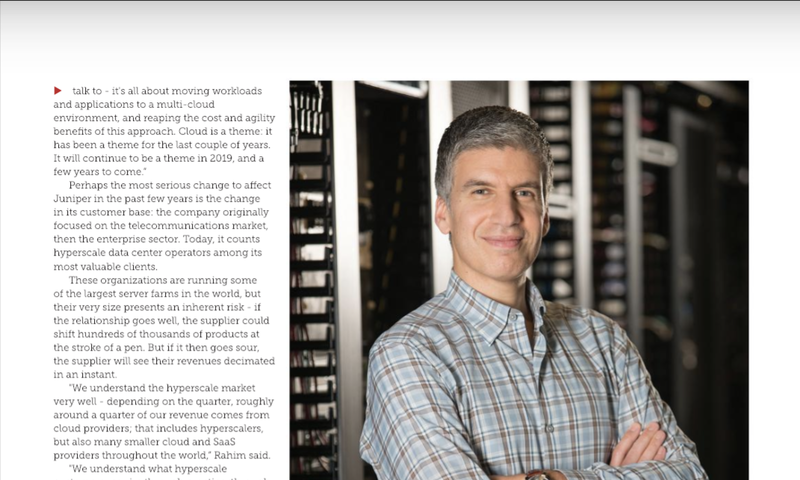 Elsewhere in the mag, we talk to Rami Rahim, the CEO of Juniper Networks, about working with hyperscalers, competing against Chinese manufacturers, and dealing with broader market shifts. How about some bonus content? Four whole features all about modernization and upgrades: One explores the concept of turning something old into something new; another sees Peter touring Northern Virginia; a third focuses on the difficulty of changing things without switching your facility off; and the fourth explores the inside of Intel's data centers. You might have heard about Greece's economic woes: Now imagine opening a new data center in the middle of it, and trying not to go bankrupt. 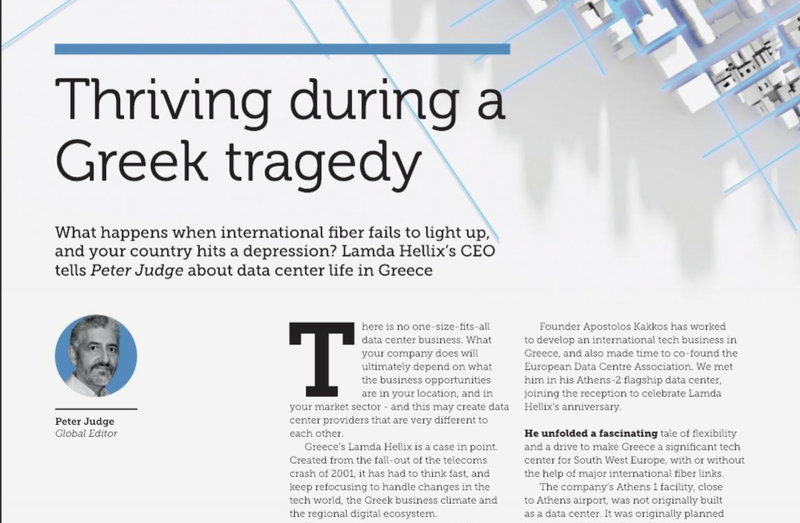 Peter talks trials and tribulations with Lamda Hellix CEO Apostolos Kakkos. We discuss Chinese AI, talk to DCD's award winners... and Max considers cannibalism..
From all of us who worked on this magazine - the editorial team, design team, sales department, marketing, and more - thank you for reading the DCD Magazine, the industry’s only high quality print magazine.